Learn how to identify and eliminate your biggest fears, obstacles and limiting beliefs! This 4-CD audio collection will help you get out of your own way so you can attract limitless success. Learn how to control your thoughts and emotions in all situations! 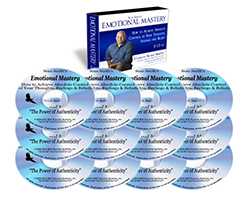 This 12-CD audio collection will help you become a master of your mind so you can take massive action toward your goals. Most of us experience fear in one form or another. 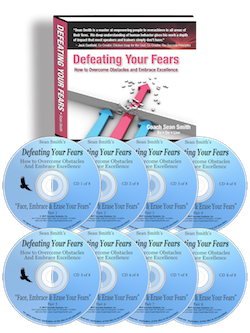 This 8-CD audio collection is designed to help you overcome fears that may be holding you back in your life and business, so you can start living the life of your dreams…fear free! Regularly priced at $99, we are offering the set at a discounted rate of $59 for a limited time.